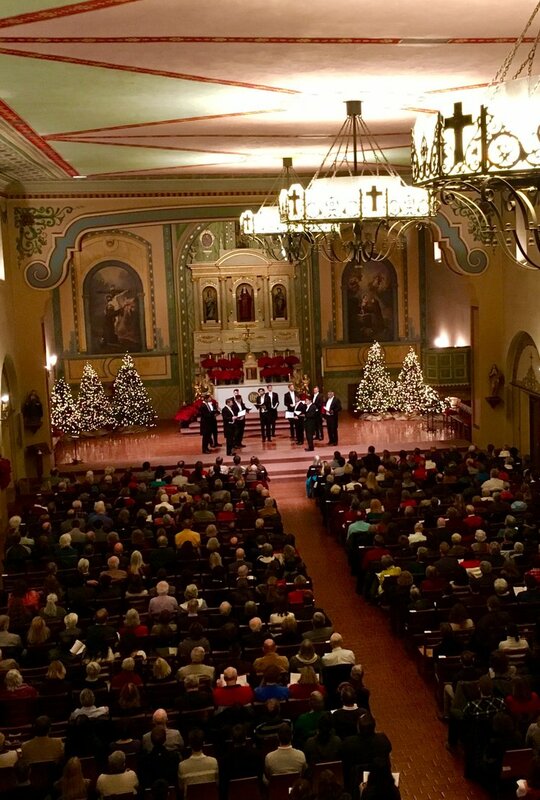 As everybody knows by know, the Mission Santa Clara is one of our favorite places to sing, and draws a faithful and longtime audience. Our new Christmas gospel by Rosephanye Powell is a big crowd pleaser and gives first year tenor Matthew Mazzola a big showcase in the first of its three sections. Matthew will be going home to Houston for the holidays. Alan, now in his twelfth year singing is featured as the speaker at the top of the program, reading a piece by W.H. Auden. He'll be going to Florida to see his parents.